Home Homeland Security How Can US Leaders NOT Know About Islam? When Understanding the Threat (UTT) conducts its 3-day “Understanding and Investigating the Jihadi Network” two things are always true at the end of the course: (1) the attendees tell us none of them – including FBI Joint Terrorism Task Force agents/officers – were aware of the information presented prior to attending the course, and (2) they all believe the information is critical to protecting their communities. In the last few weeks, UTT has written articles, given numerous media interviews, produced UTT’s Radio Show, and related information via social media detailing the failure of our government to identify the Islamic threat and deal with it in a factual/reality-based manner. The answer is simple: 100% of our enemy states they are muslims waging jihad to establish an Islamic State under sharia. They call the means to do this “Civilization Jihad,” and the U.S. Islamic Movement – primarily led by the U.S. Muslim Brotherhood – does this by controlling the narrative about Islam inside our system. The MB controls the narrative by controlling the information our national security professionals receive as it relates to “terrorism” and related matters. Inside the government, there is no training which provides employees of the State Department, FBI, CIA, DHS, DIA, National Security staffs, Pentagon, military commands, or other key components of the government factual information about sharia (Islamic Law) and its role in this war. Nor is there substantive training related to the massive jihadi network in the United States, primarily led by the Muslim Brotherhood. 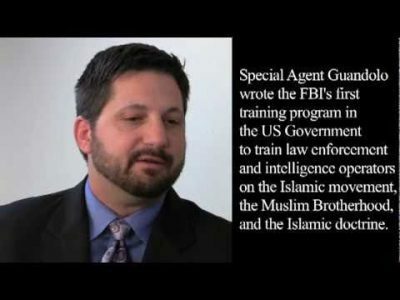 In 2006, UTT’s John Guandolo (an FBI Special Agent at the time) created and implemented the first training inside the U.S. government which detailed: sharia as the enemy threat doctrine, what it is, its authority in Islam, and what it says; the Muslim Brotherhood history, network, key organizations and leaders, modus operandi, and examples of penetrations and operations inside the United States; funding channels for the Global Islamic Movement; and investigative and strategic solutions to this threat. The program was a resounding success and all the graduates believed it should be given to all government employees and law enforcement officers. In the fall of 2006, John Guandolo notified coordinators of a 9/11 event they should reconsider including the Council on American Islamic Relations (CAIR) because they operate as a Hamas entity. 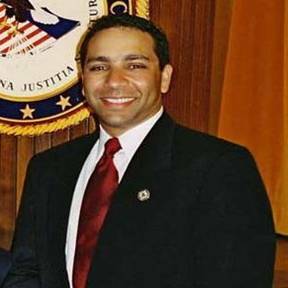 Leaders of CAIR called leadership at FBI Headquarters who called the Assistant Director of the FBI’s Washington Field Office (WFO) who, in turn, called the Special Agent in Charge of WFO and Mr. Guandolo was reprimanded. And so it continues today across our government. The primary Islamic advisors regarding the Islamic threat inside the White House, State Department, CIA, FBI, DHS, national security staffs, and others are Muslim Brotherhood (MB) operatives or muslims ideologically aligned with the MB. The key universities where senior government officials (including military generals) receive their masters and doctorate degrees in Middle East Studies and related topics – like Georgetown and Harvard – are bought and paid for by Saudi Arabia (The Kingdom Group). No truth about sharia is being taught there. There is no discussion of Islamic sharia – with the exception of propaganda being taught by muslim professors – at the military war colleges, the Joint Forces Staff College, boot camps, basic officer trainings or anywhere else in the military. Muslim Brother Arif Alikhan served as the DHS Assistant Secretary for Policy and was a Professor of Homeland Security & Counterterrorism at the National Defense University in Washington, D.C. In 2011, there was a directed purge of all training materials inside the Department of Justice, FBI, DHS, and the military after known Muslim Brotherhood groups the Islamic Society of North America (ISNA), the Muslim Public Affairs Council (MPAC), and Hamas doing business as the Council on American Islamic Relations (CAIR) complained to the White House about “offensive” materials being included in government training discussing Islam. FBI Director Mueller, DHS Secretary Napolitano and Chairman of the Joint Chiefs General Martin Dempsey (US Army) all ordered the “offensive” materials purged. Inside the government, those who speak truth and follow facts/evidence leading to sharia (Islamic Law) as the basis for why the enemy is fighting are rejected. 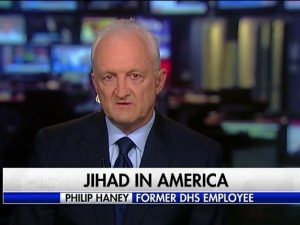 In the case of DHS employee Philip Haney, his investigations uncovered thousands of organizations and individuals who were involved in planning and organizing jihadi activities inside the United States. DHS officials removed over 800 records of jihadis and jihadi organizations which were put into DHS’s system by Haney. Then DHS went after Haney with numerous internal investigations to shut his work down. Read the article Mr. Haney wrote in the Hill about this here. Mr. Haney’s book See Something, Say Nothing further details his experiences. So how would our leaders come to understand the threat? How would FBI agents, CIA case officers, or DHS employees? 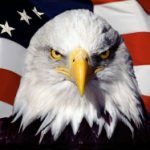 The factual basis for understanding the enemy threat doctrine – Sharia – is nowhere to be found in the U.S. government, and so the very people charged with protecting American citizens remain ignorant of the threat of Islam. This is the intentional outcome of the U.S. Muslim Brotherhood’s decades long campaign.